I thoroughly enjoyed our Bonfire night celebrations this year. Bonfire nights at the Allotment are always good, and seem to get better each year. This year the format was slightly different…. It was a fantastic evening. A huge thanks to the Committee who organised the event, cooked the delicious food and set up the clubhouse, to Paul for building our huge bonfire and Tony and Paul for setting off the fireworks. 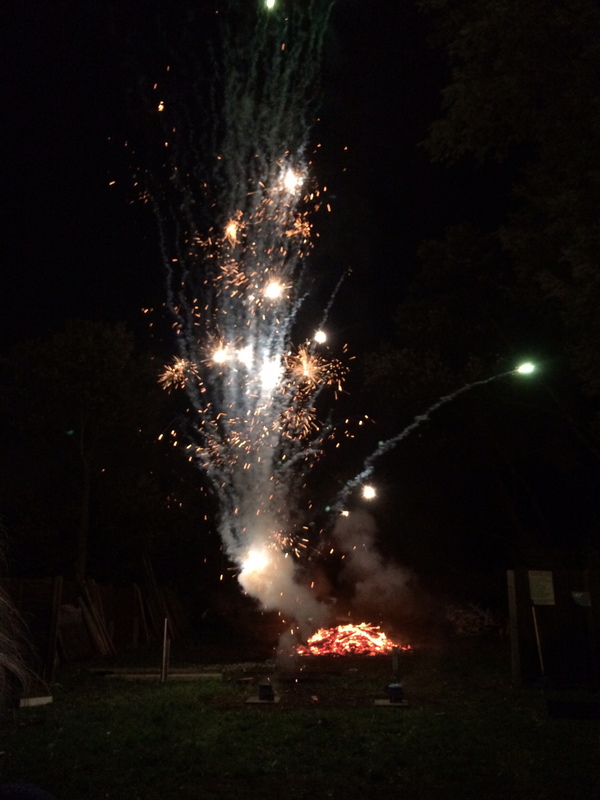 And of course to our members who turned up, brought fireworks and enjoyed the evening. Previous PostPrevious Green Flag Again!